It is said that behind every great man is a great woman. Truly, behind Santa is Mrs. Claus. For Charter Hall of Fame member the late Nate Doan that woman was his wife, Mary Ida Doan. For over 50 years she has been bringing Mrs. Claus to life. With an unstoppable Christmas Spirit and a deep passion to help others she has made her mark as one of the leading Mrs. Clauses in the world. The Doans were the first couple to graduate from the Charles W. Howard Santa School in Albion, New York. Together they would work nearly 380 events every Christmas season. Mary Ida is a co-founder of the Nate and Mary Ida Doan Santa House in Bay City where thousands visit each season to talk with Santa and Mrs. Claus. 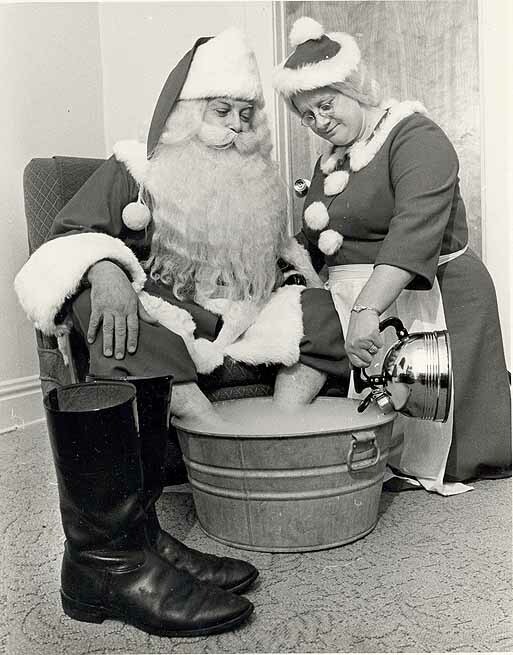 Even today she continues to make the hearts of children of all ages happy and is fully deserving of her title Michigan’s Mrs. Santa Claus.